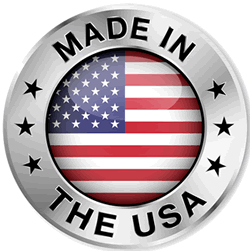 Our Aluminum PUCK Padlock is made in the USA. It was designed to accept standard "Vending Lock" cylinders. Some of the vending lock cylinders that will work in the Universal PUCK are Cobra 7, CobraMatic 7, Medeco and Abloy. This padlock is protected by a U.S. Patent for its unique design and universal sleeve. The lock cylinder can be changed very easy by the end user. Chick HEREto see the Cobra line of Vending Locks. Click HERE to see our Universal PUCK How to Video. After many years in development LSI introduced the Cobra Universal PUCK Padlock. It was designed to accept standard "Vending Lock" cylinders. Some of the vending lock cylinders that will work in the Universal PUCK are Cobra 7, CobraMatic 7, Medeco and Abloy. This padlock is protected by a U.S. Patent for its unique design and universal sleeve. The lock cylinder can be changed very easy by the end user. Chick HEREto see the Cobra line of Vending Locks. Click HERE to see our Universal PUCK How to Video. 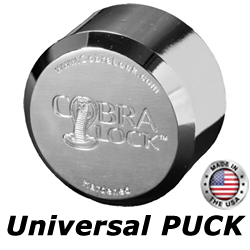 The Cobra Standard PUCK Padlock is constructed out of solid steel with a "Flat Back" design. It comes with the industry standard lock cylinder. These locks are compatible with your current padlocks, we can key these locks so that our key will open your new Cobra PUCK padlocks and your old ones as well. 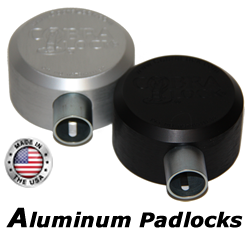 These locks are compatible with the American Padlock and the Master Padlock models. The Cobra 8200 Series Padlocks are constructed of solid hardened steel with hardened steel shackles. Shackles are available in either one or two inches. We build these using a standard lock cylinder so that we can key into your current padlocks. This preserves your current padlock investment, while you upgrade the quality of your padlocks. 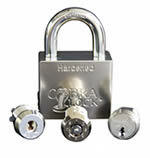 Your new Cobra padlock will open your new Cobra Padlocks as well as your current padlocks. The Cobra 8100 Series Padlocks are constructed of hardened steel with hardened steel shackles. Like our 8200 series these padlocks are built using an improved design over standard padlocks. The Cobra 8100 series can be supplied with either a one inch or two inch hardened shackle. These shackles are user changeable. The 8100 series uses standard lock cylinders so that we can "key into" your current padlock systems. 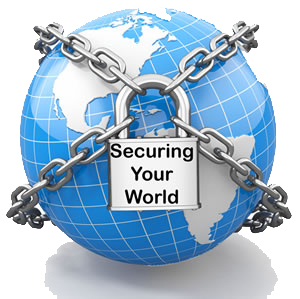 This will preserve your investment while allowing you the benefits of using a higher quality padlock. The Cobra Brass Padlock is constructed of solid brass and comes with a stainless steel shackle. 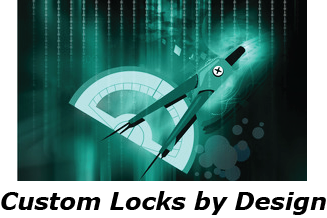 We designed this padlock to perform well in applications where moisture is a problem. This padlock is designed with a standard lock cylinder and it can be keyed alike or keyed different.